Couture Dreams Chichi Ivory Shimmer Tablecloth - Swatches may be available. 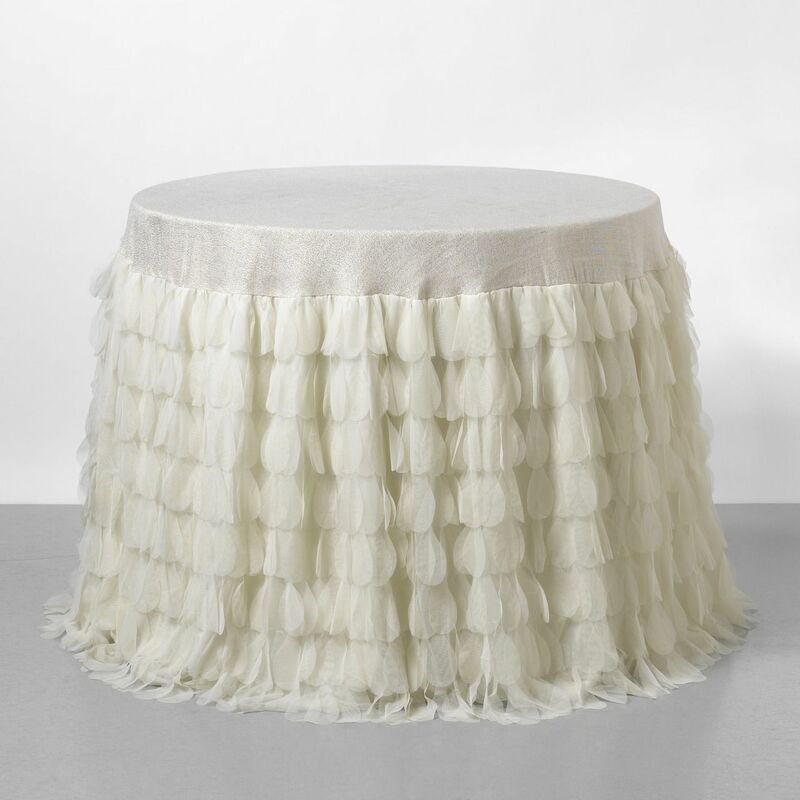 Couture Dreams Chichi Ivory Shimmer Tablecloth, add glitz and glam to your house, wedding or party. A mixture of different textures and materials make up this unique table covering for a sophisticated and custom feel. Truly stunning, these tablecloths are sure to turn any table into a memorable setting. Each petal is individually hand sewn onto the skirt creating a beautiful array of soft cascading petals. The soft petals in juxtaposition to the shimmering top make for an astonishing table setting. Two Sizes: 36" Round Table, Total Diameter 98", 60" Round Table, Total Diameter 122"